The Balcony Suite is a luxurious, fully self-contained two-bedroom apartment offered on a nightly rate or a weekly rate of $1,500. Please contact us for monthly rates if planning a longer stay. It is situated in an elegant turn-of-the-century house that was recently extensively refurbished to provide a fresh and modern feel. The Balcony Suite offers stunning views over the harbour, the Westpac Stadium, and CBD. The Balcony Suite is a true home away from home. It comes equipped with two bedrooms: one with a queen sized four poster bed, the other with a queen sized bed and a single bed. There is a separate modern bathroom that also contains laundry facilities. The Balcony Suite has a fully equipped modern kitchen with dishwasher, oven, hob, full sized fridge and microwave. There is a separate living/dining area and a further conservatory in which to relax and take in the views. The conservatory opens out to a large deck overlooking the harbour. the Westpac stadium, the central city and the hill suburbs beyond. A cot and highchair are available on request. Sumptuous linen and quality towels are provided. The Balcony Suite is non-smoking and could easily accommodate two couples, two singles or a family. A large outdoor area at the front of the property offers expansive views over the city, a fully fenced children's play area and trampoline. Off-street car parking is available for guests and we are a short drive from the Airport (15 mins), South Island Ferry Terminals (5 minutes) and Northbound State Highways (5 minutes). 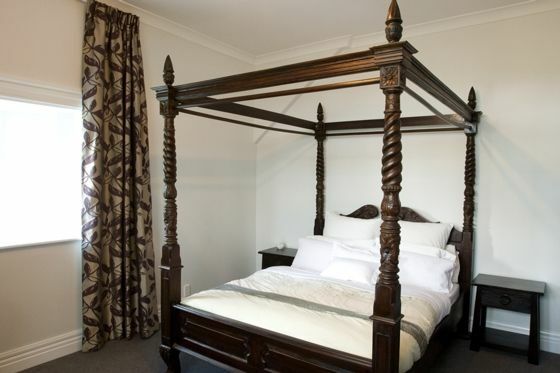 Superbly located with a bus stop at the door, the Balcony Suite is walking distance to a number of local tourist attractions including the CBD for shopping, Westpac Stadium, Botanical Gardens, Queens Wharf and Waterfront, Te Papa, Cable Car, Parliament Buildings, Old St Paul's Cathedral, Katherine Mansfield Birthplace and Civic Square. The Balcony Suite is non-smoking both inside and out. Cleaning at the end of your stay, or once per week if stay is 7+ nights, included in the standard rate. Longer stay rates (14+ nights) are available on request. A 3.5% credit card fee is payable on credit card payments. Payment can be made directly into our bank account without incurring fee. No parties. No more than stated maximum allowable occupants. Owners reserve right to switch guests to alternative suite within property. Trampoline and small children's play area on site. Was everything we needed for our 5 days stay.Very close to the city and the bus service is good.Uber well worth using if you don't want to use bus. Thanks for explaining tv and stove use,easy once we knew how. Really great place to stay with family. A charming home away from home. A charming home away from home. Warm, quiet and everything you could need for a comfortable stay. Nice beds too! Great location close to the city, and I would happily stay at Orchard St again and have already recommended this delightful place to others. The Balcony Suite is spacious, beautifully appointed and the views are even better than we imagined. The Balcony Suite is spacious, beautifully appointed and the views are even better than we imagined. We could easily live there! Property was as advertised, very clean, modern and well maintained. Property was as advertised, very clean, modern and well maintained. It was well situated with a bus stop at the bottom of the steps. The off-road parking for the car was most convenient. Elevated position gave a view of the harbour. convenient for the ferries.